This dance troupe came out to take some pics with the animals. I worried the goats would tear their costumes apart. 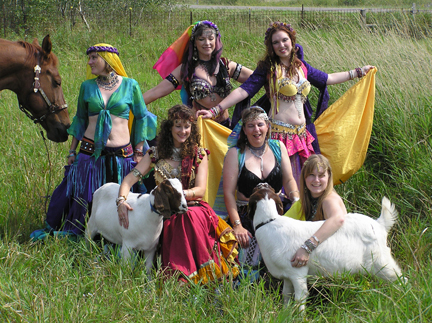 Turns out goats are terrified of dancers. It took lots of treats to keep them in the pictures.